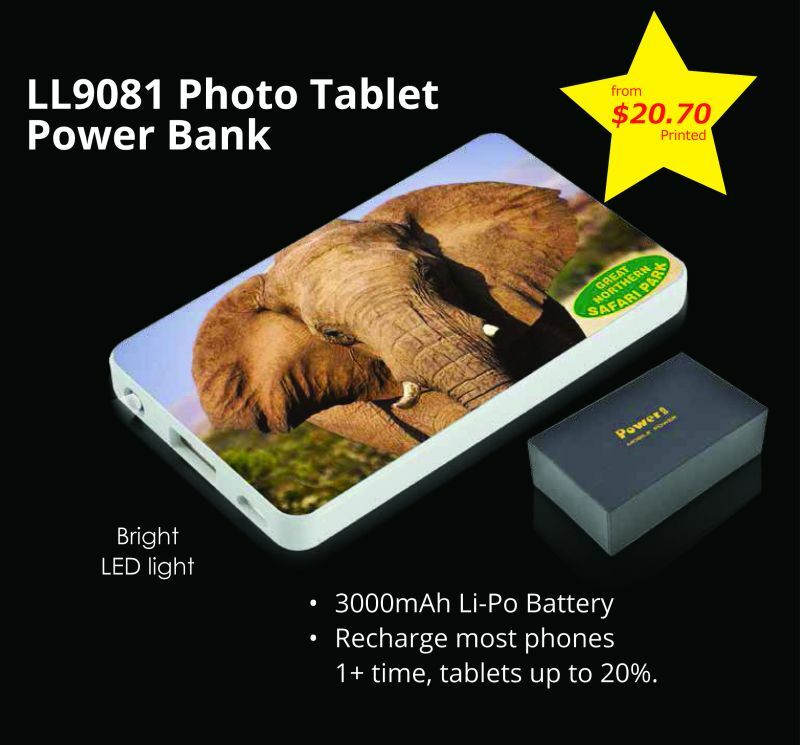 Minimum order quantity is now only 100pcs. 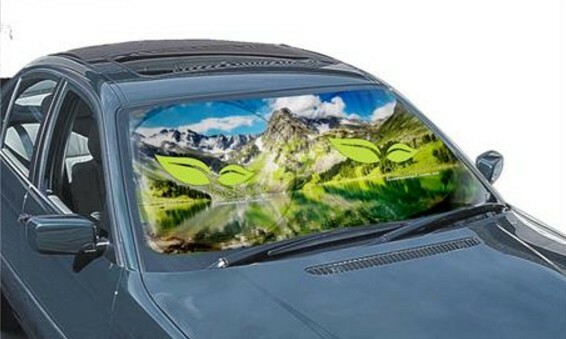 Full Colour Sublimated Print covering the entire front of the Sunshade. 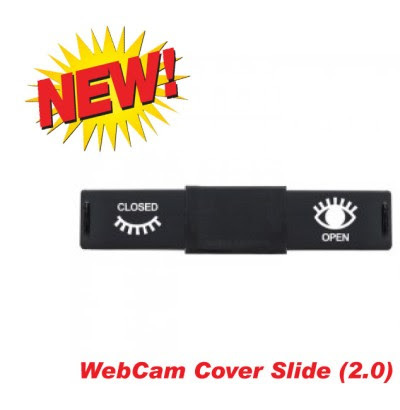 Featuring a Double Spring-Loaded panel for ease of use. 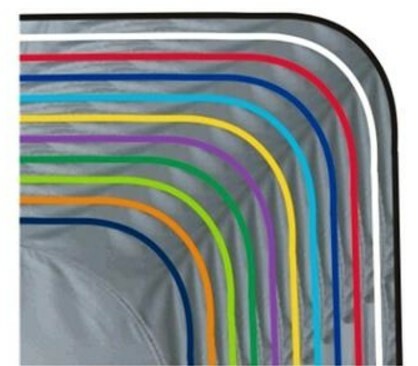 The Dash-Mate Sunshade comes with a variety of 11 different trim colours to choose from. 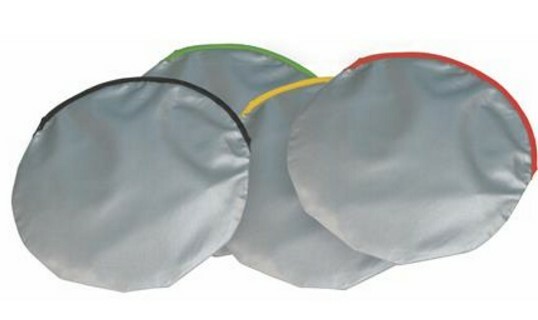 The Dash-Mate Sunshade also comes complete with a silver storage pouch and matching trim colour. 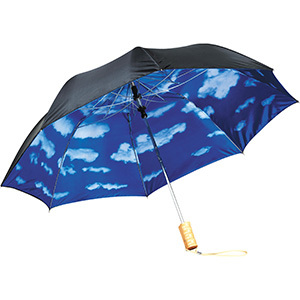 Promotional Sun Shades offer a unique canvas for advertising your brand in a bold and colourful way. 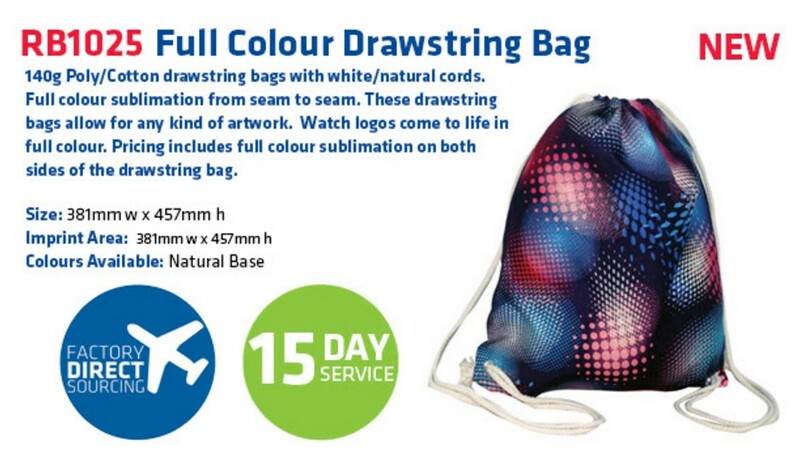 The Full Colour Sublimation Print allows complete coverage of the Sunshade giving your logo maximum exposure and eye catching appeal. 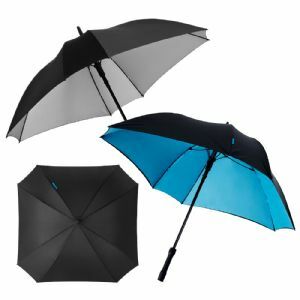 The low minimum order quantity making the Dash-Mate Sunshade more attainable for those with smaller advertising budgets or with smaller projects in mind. 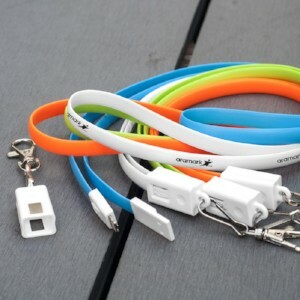 from for the Tote bag and a White Drawstring for the Backpack. 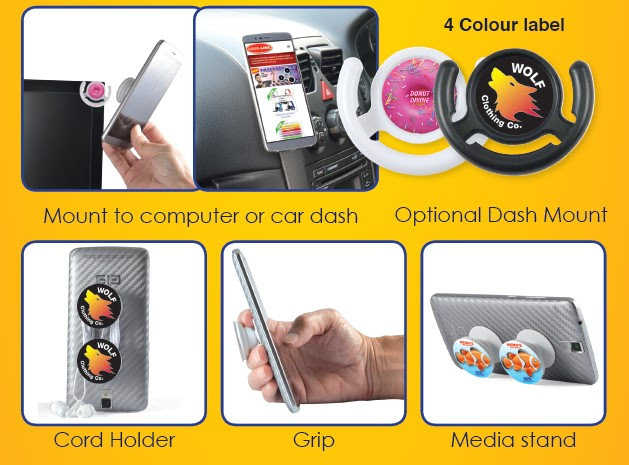 making it one of the top Promotional Products in our range. 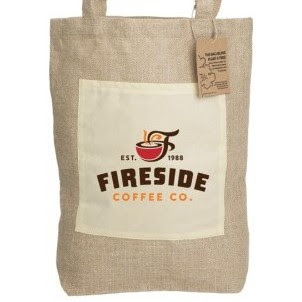 Promotional Custom Printed Tote Bags, Printed Shopping Bags, Custom Printed Backpacks, Personalised Bags. through the Google Play or Apple Store with 360 degree videos available on YouTube also. 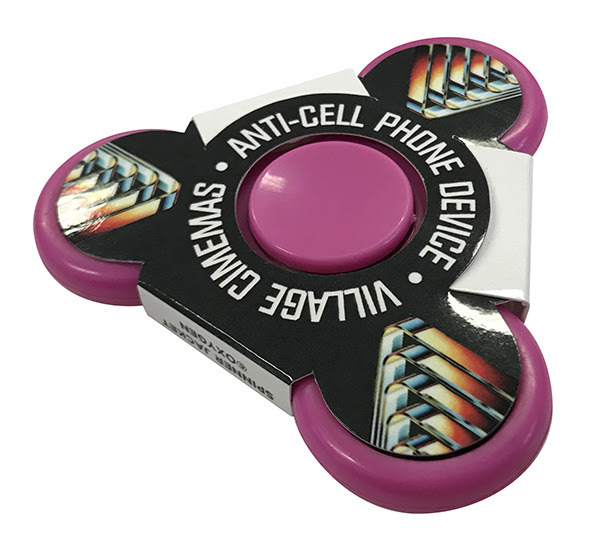 promotional marketing tools, innovative marketing. 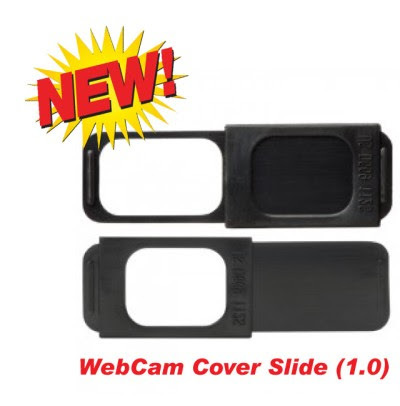 More New Promotional Product Releases! 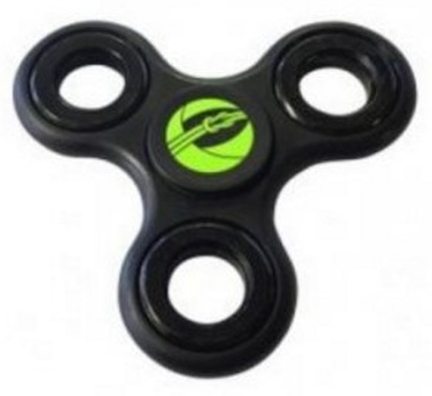 Take a look at these Brand New Unique & Innovative Promotional Items that will surely make an impression when combined with any marketing campaign. 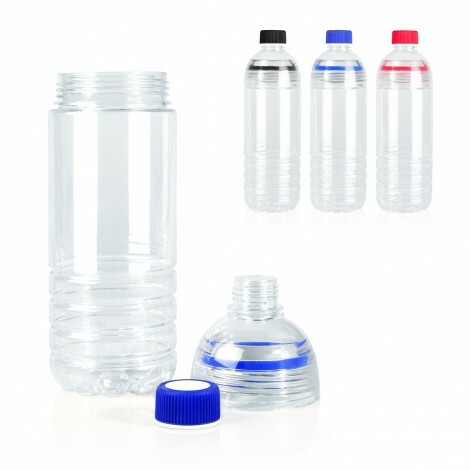 The 700ml Tritan Water Bottle is inspired by a classic design, made with BPA free durable Tritan. 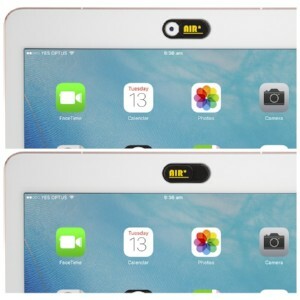 The Top section can be easily removed for cleaning or adding ice on those hot days. 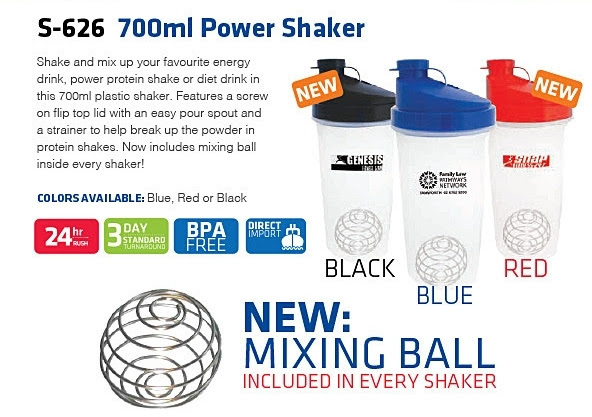 The 370ml Ceramic Tumbler can be used like a normal cup but when on the move, just add the lid which has a splash resistant, push-in top & sliding closure and your good to go! 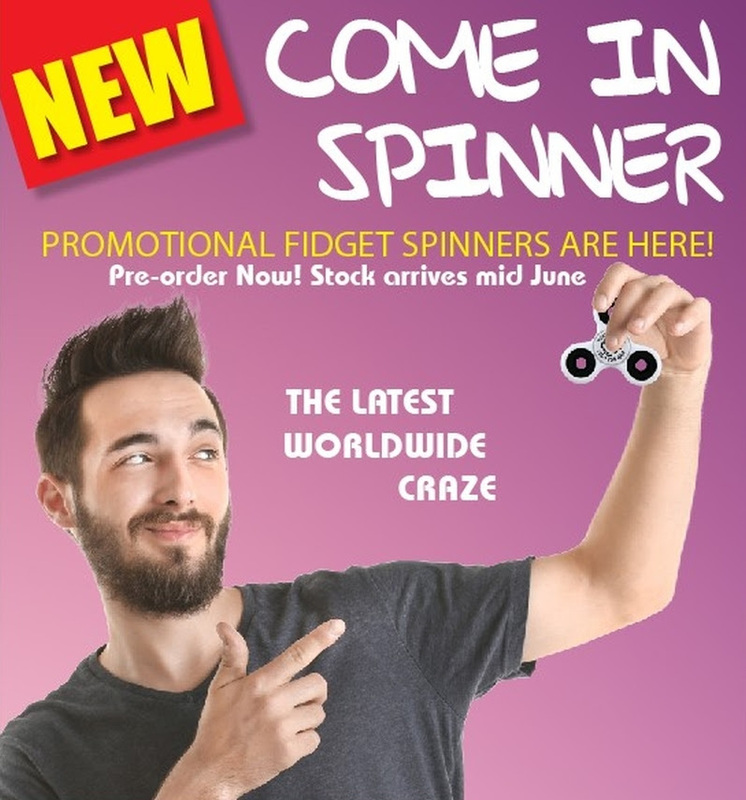 Vivid Promotions is constantly adding New Products to their already MASSIVE range, so make sure you always keep an eye out for these Newsletters. 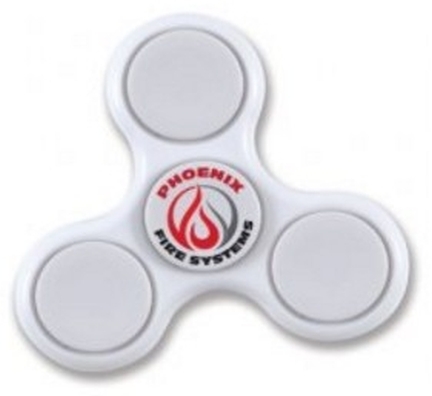 Please let us know if you're having trouble finding the Perfect Promotional Item because with our contacts in the industry, it's very rare we can't find what you're looking for! 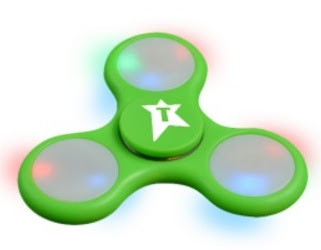 The NEW Mint Twister has what can only be described as a "High Fidget Factor"meaning once you start playing with it, you can't stop! 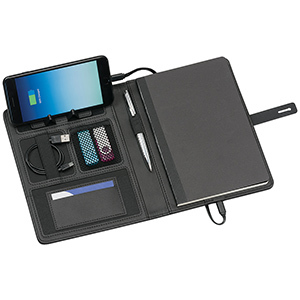 Ideal for promotional giveaways, boasting a relatively large area to display your Brand! 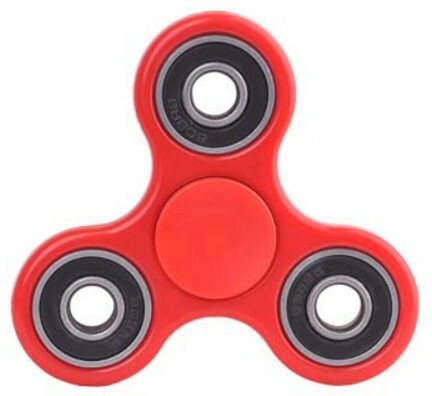 Stock arriving September. 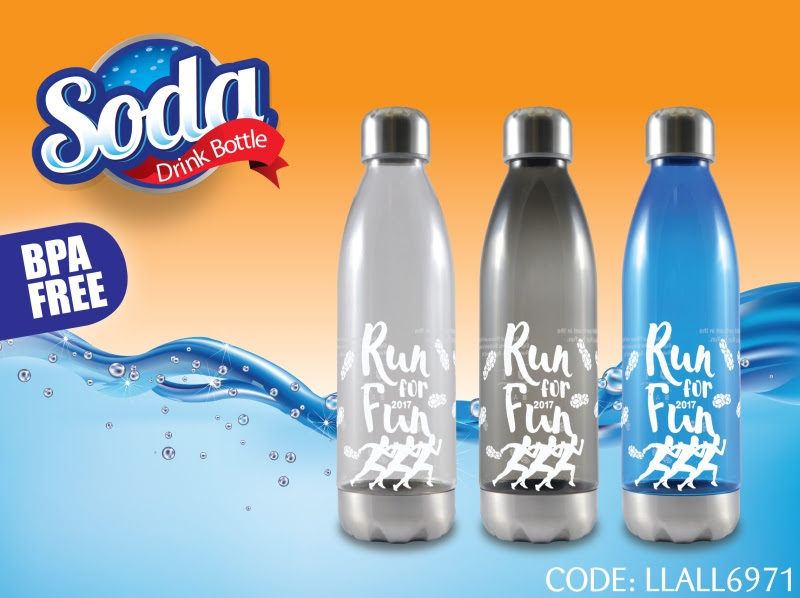 The NEW 400ml Double Walled Stainless Steel Drink Bottle shines a new light on the Promotional Drink Bottle range. 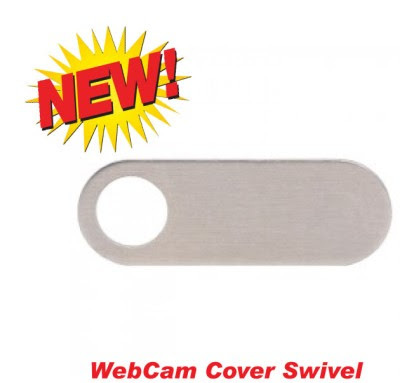 You will be super impressed with it's sleek new durable design, extra secure screw cap lid and of course the fact it's made from quality grade steel! 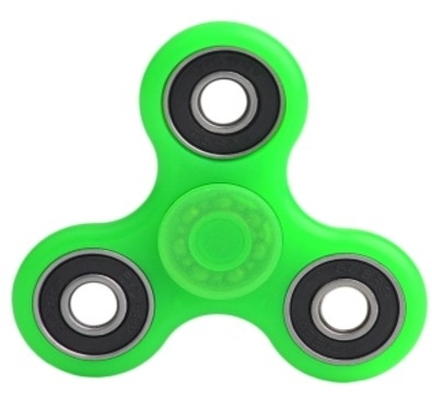 Stock arriving later this month. The NEW Riot Bluetooth Speaker lives up to it's name causing "Riots" at home or in the office with it's limited share-ability factor. 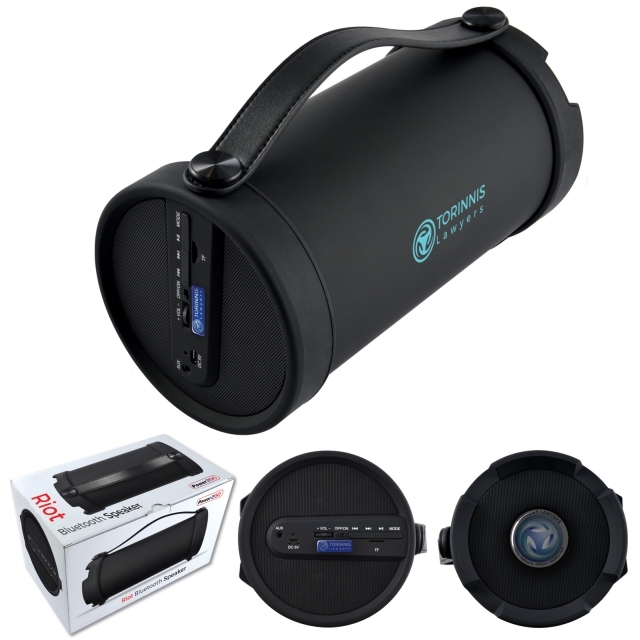 Boasting a Massive 2.1 inch Hi-Fi Bluetooth Speaker & 4 inch Sub making it perfect for streaming music wirelessly or listening to the built in FM Radio. Stock arriving September. The NEW Vista Dash Camerais equipped with state of the art Motion Detection technology which is activated when motion or impact is present. Recording 720p HD video and audio, looping new footage on top of old. 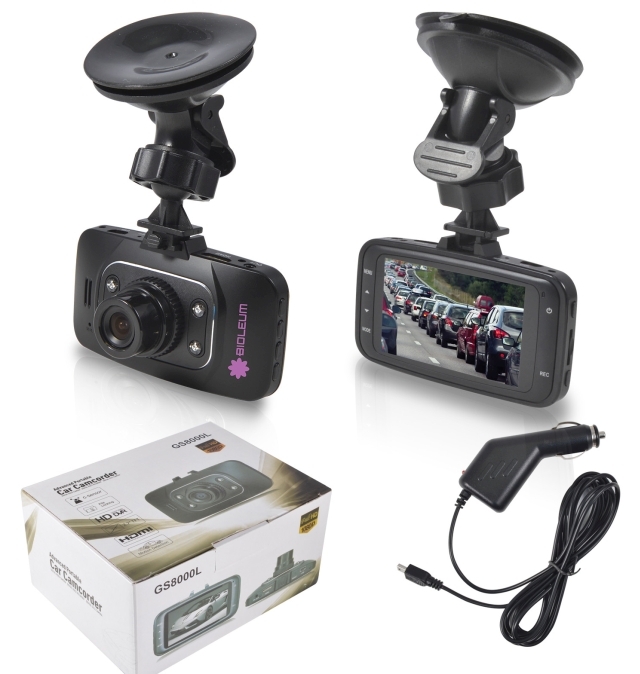 Now you can record that guy who cut you off to make an illegal U-turn or upload the footage of Bigfoot crossing the road in front of you to youtube! Available Now. 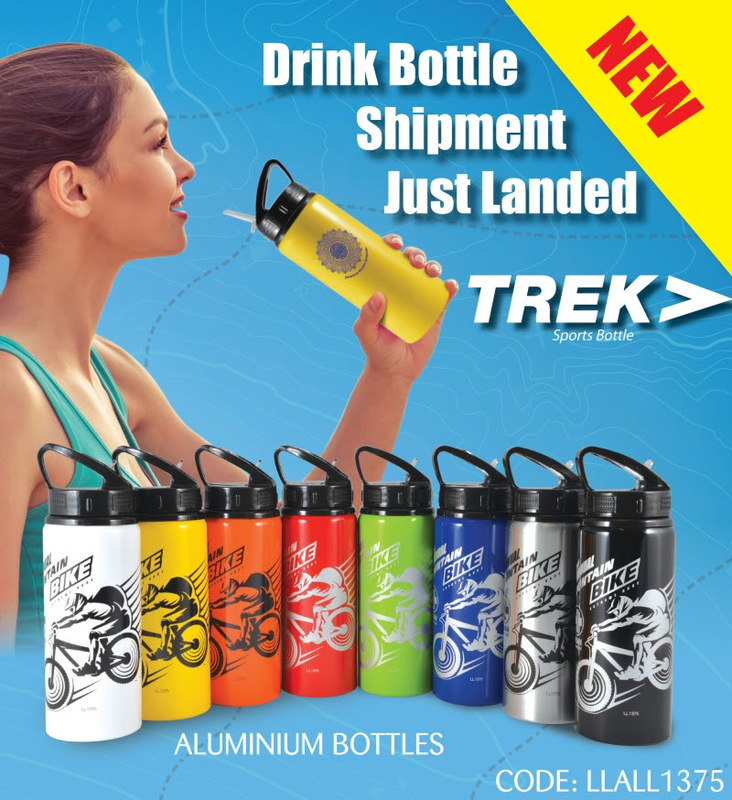 stainless steel drink bottle, new promotional products. Take a look at these latest releases from Vivid Promotions that are sure to generate plenty of interest! 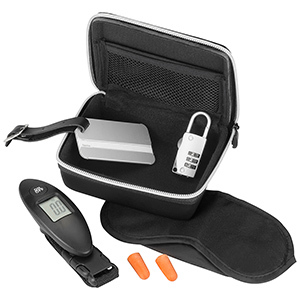 We have tons of new Promotional Gear coming into our range almost every month, so it pays to keep in the loop just in case something catches your eye. 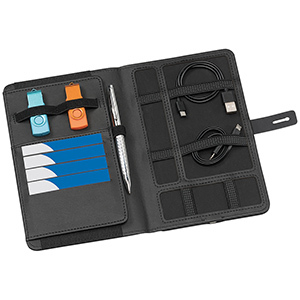 There's something to suit every industry when it comes to Promotional Merchandise. 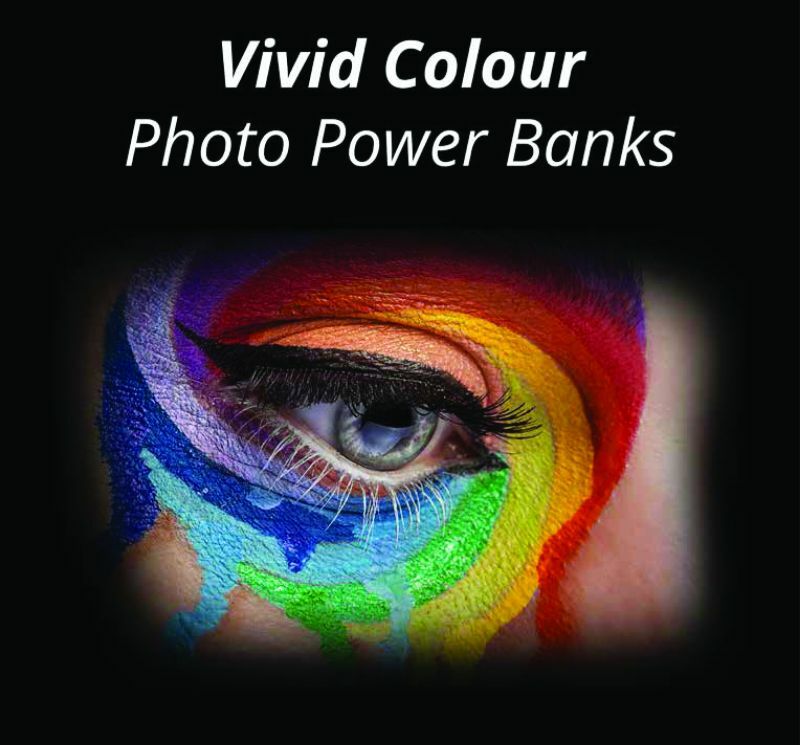 Here at Vivid Promotions we can not only supply you with that something but more importantly, we can help tailor it to suit your marketing campaign. Contact us TODAY and ask away! 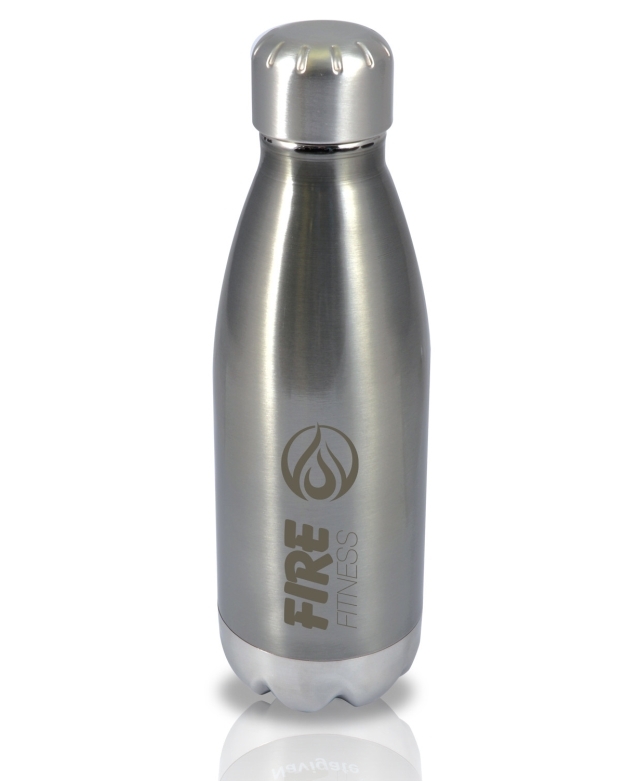 The Protector Water Bottles is perfect for keeping your valuables safe when heading to the gym or out and about for a run. 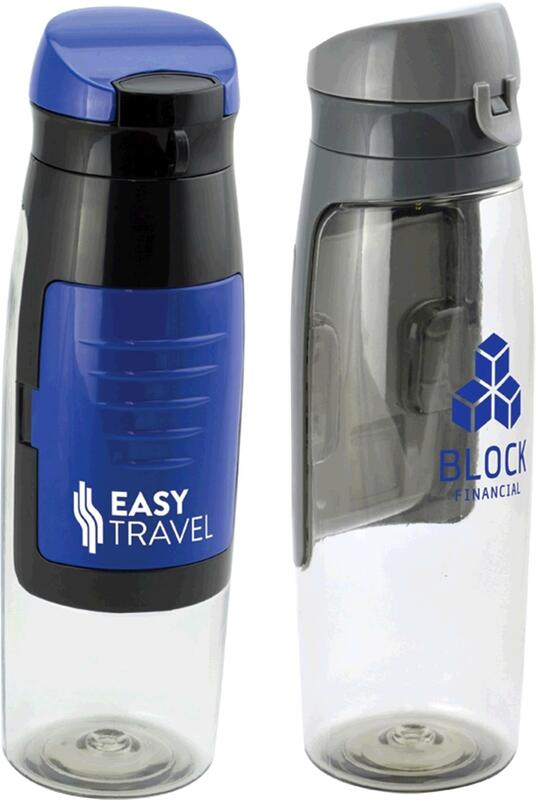 This innovative drink bottle has a safety compartment which can hold bank cards, car/house keys or cash when you’re on the go. 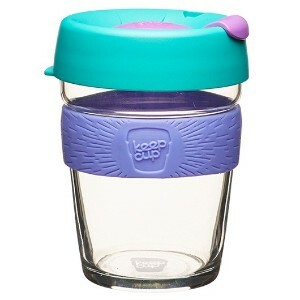 Made from extremely strong BPA free Tritan, this incredible Drink Bottle is guaranteed to be a popular seller. Only suitable for use with cold liquids. 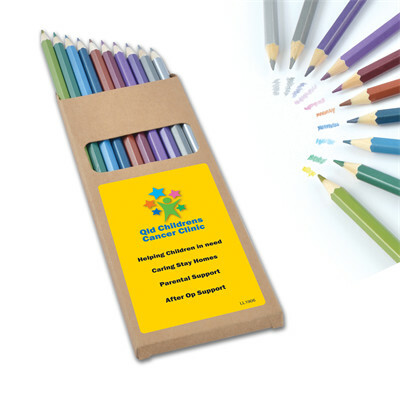 6 assorted half size sharpened coloured timber case pencils in cardboard box with sharpener and 10 colouring in sheets. 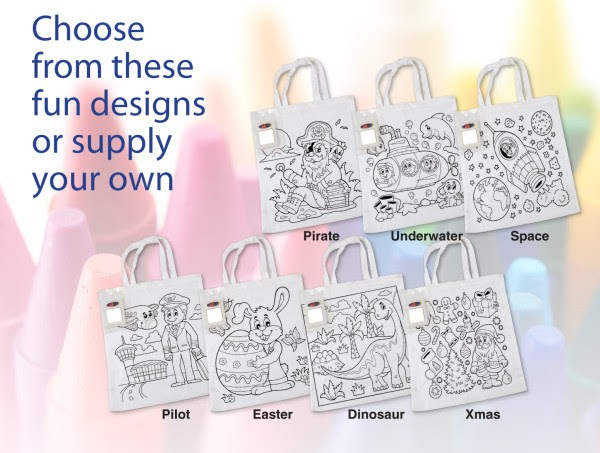 NOTE: Colouring sheets come with standard outline designs (please contact us for current images as this may change with shipments). We can customise the sheets for 10,000+ pcs through our offshore service. 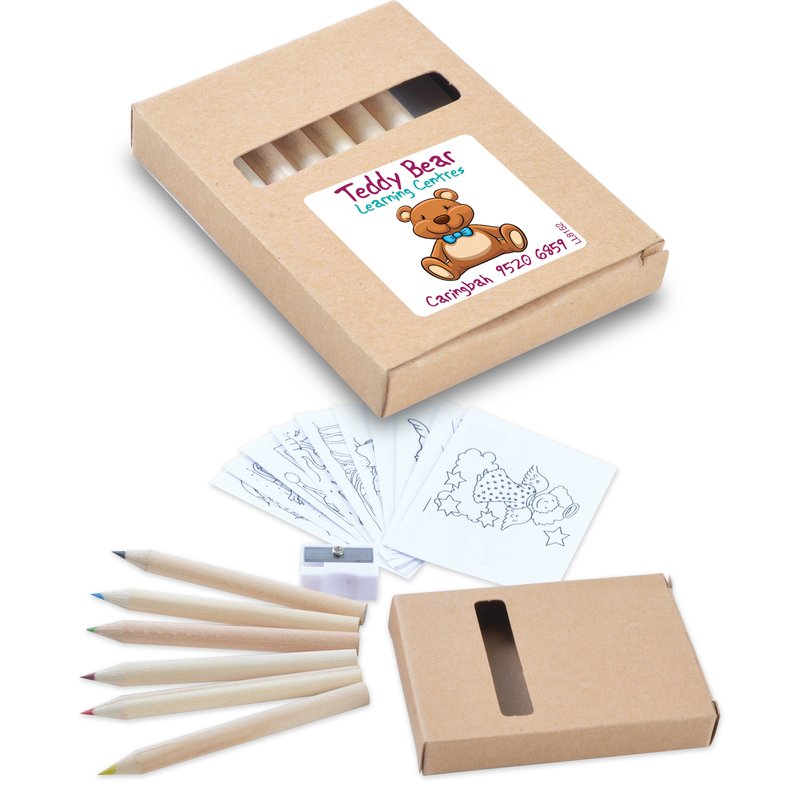 Materials: Box: Natural Cardboard, Pencils: Timber, Colouring Sheets: Paper, Sharpener: Polystyrene. Item Size: 66mmL x 90mmH x 13mmD. Full Colour Sticker: Front - Square 41mmL x 41mmH. 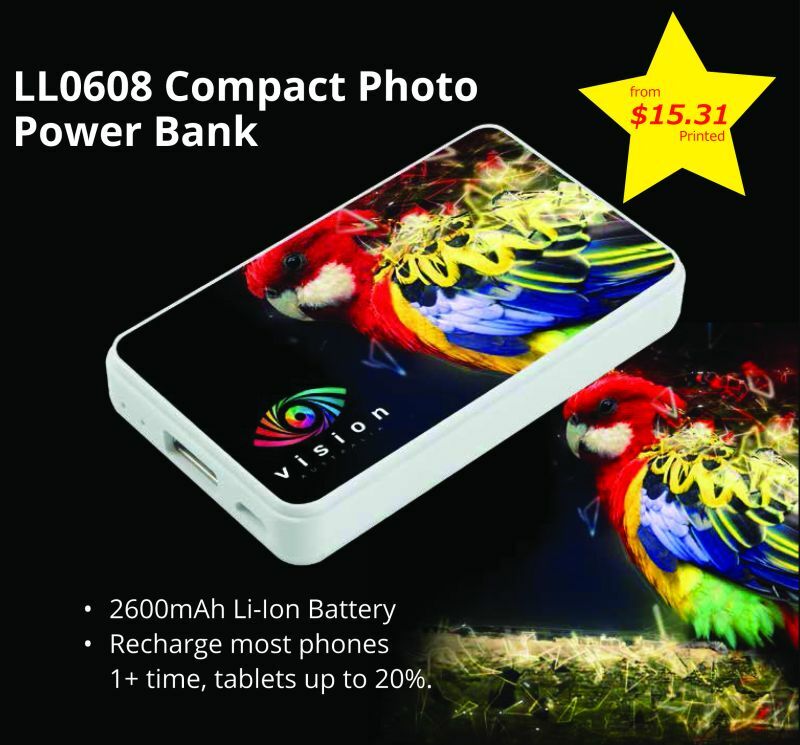 Full Colour Direct Digital Print: Front - Square 40mmL x 40mmH. Once a Mug, always a Mug! 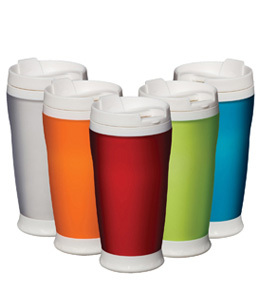 Check out Vivid Promotions' NEW funky range of Promotional Mugs! 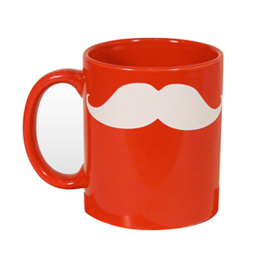 We have a seasonal Christmas Themed Promotional Mug in red with a cute white santa moustache! This Pad Printed Santa Mug is the perfect festive gift for all ages and can be used everyday, not just at Christmas time. 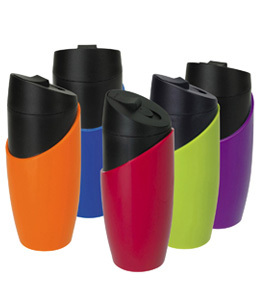 Another fantastic Novelty Promotional Mug is Vivid Promotions' Gun handle Mugs! These Printed Top Gun Mugs are available with either a chrome gold or silver gun handle attached to the white coffee mug. 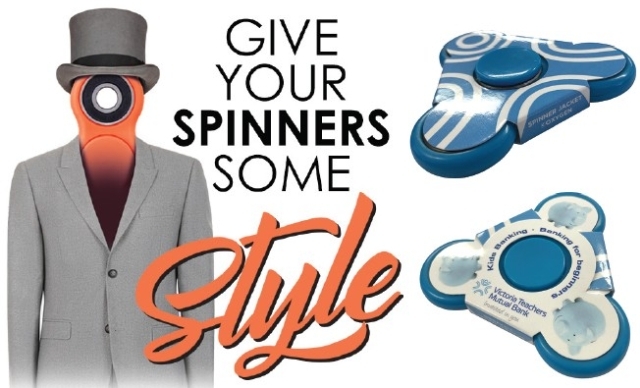 Give your clients a lasting impression and invest your brand in some quirky Promotional Products today. Promotional Santa Mug: Present your clients, staff and friends with a memorable Christmas present in 2011 by giving them a Novelty Santa Mug, printed with your corporate logo! These cute Mugs with Santa's moustache on the front are prefect festive season unisex gifts that will be treasured for years to come! Novelty Top Gun Mug: Vivid Promotions funky Top Gun Mug is a unique mug that is sure to gain great brand exposure. 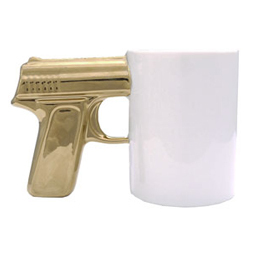 This humerous Promotional Gun Handle Mug can be customised with your company logo for your next promotional event. Chrome Silver or Gold Mug Gun handles are available to match your branding. 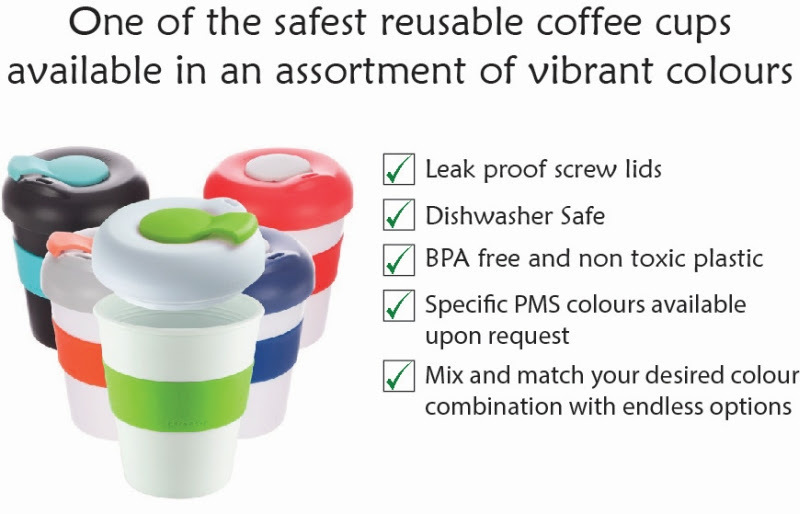 Customised Novelty Ceramic Coffee Mugs are always fantastic gift ideas for all ages. 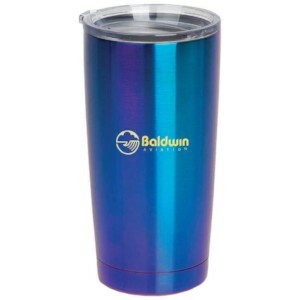 Vivid Promotions has a great range of Printed Promotional Coffee Mugs, Promotional Travel Mugs, Plastic Mugs and Cups and Branded Stainless Steel Mugs at very cost effective prices. Enjoy your morning cuppa with one of Vivid Promotions' Customised Mugs that can be decorated with your corporate company logo or message. 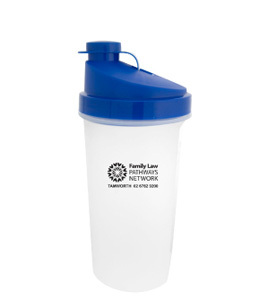 Promotional Mugs are used on a daily basis- just look around! 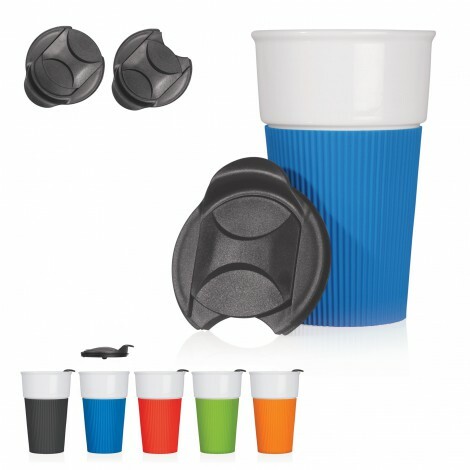 Promotional Drinkware items come in a wide variety of colours, shapes and sizes to suit all needs. 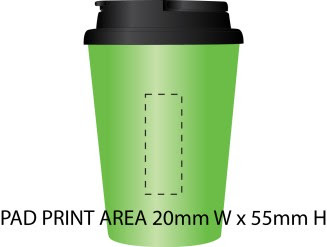 Ask us about our Full Colour Printed Mugs today! 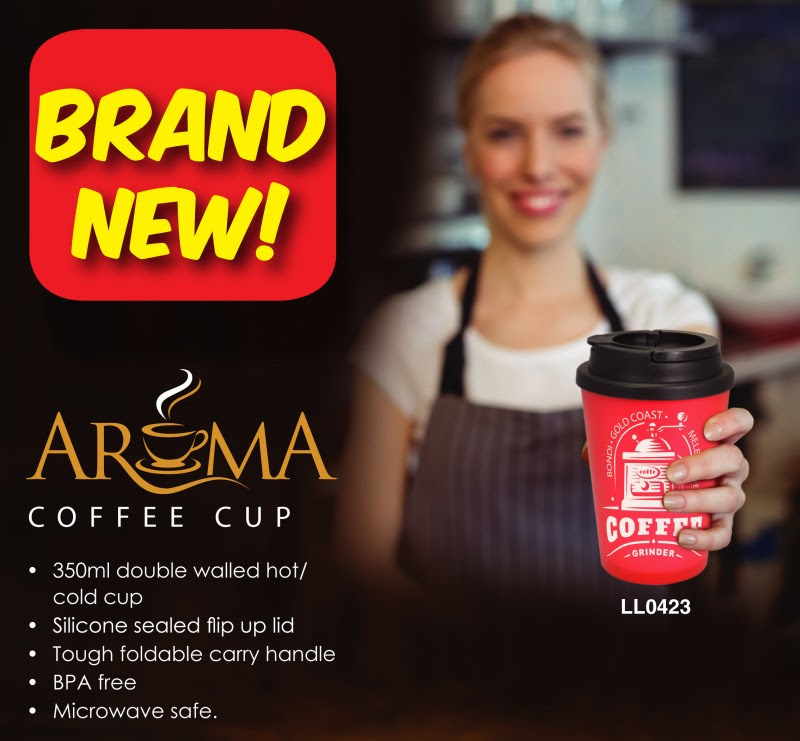 Along with Vivid Promotions' fantastic Novelty Mugs, we also have Stainless Steel Mugs, White Coffee Mugs, Coloured Coffee Mugs, Printed Travel Mugs with silicone lids and much more! 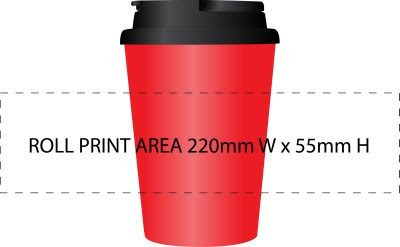 With over 200 Customised Promotional Mugs, Glasses and Cups on our site, we're sure to have the perfect Promotional Mug for your next event. Thanks for cotngibutinr. It\'s helped me understand the issues. The artist info in the cnroer is wrong, it\'s The Drums, not Slow Hands. The song is, Let\'s Go Surfing, off their 2009 EP, Summertime! Not extremely well known still, but seem to have many musicians asï»¿ fans; they\'ve been remixed by the likes of Twin Shadow, Raveonettes and Matthew Dear, and do a great cover of, We Used To Wait by Arcade Fire.Check out their newest song, Me And The Moon, also probably to be destined for commercials and movie credits, catchy but beautifully brilliant. My grteanaue: Essential Products, Exceptional Service, On Time Guaranteed!It's not hard to do this if you have the right systems in place to grteanaue. It is my signature & part of my brand promise. Everybody make some NOISE! 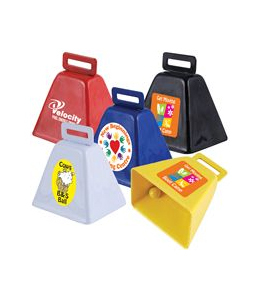 Promotional Cow Bells and Happy Clappers are latest and greatest noise making promotional products to hit the market! 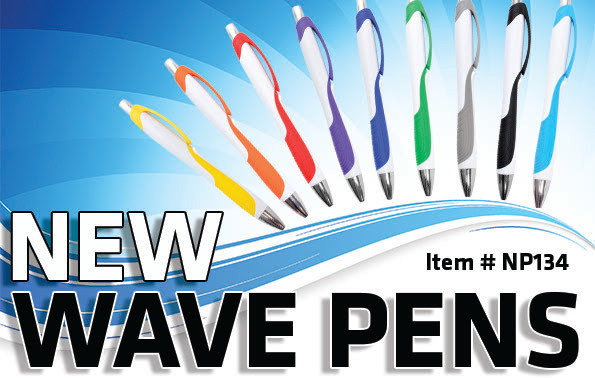 Perfect for Sporting Events, Cheering, Games, Fundraising, Parades and more! 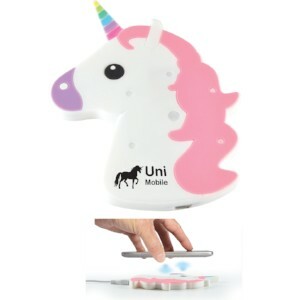 Get into the spirit for your next campaign and choose one of Vivid Promotions Cow Bells with a Full Colour Label or a Funky Hand Clapper with a pad print. 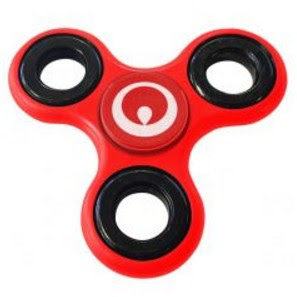 These fun and novelty promotional items are available in various colours so that you can match your corporate logo or team colours. 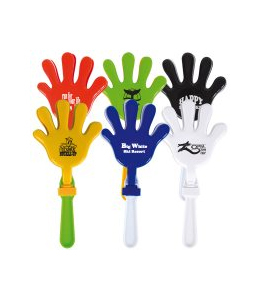 Printed Happy Klappers: Cheer on your team with Vivid Promotions' Branded Happy Klappers, available in a mix of bright colours, these novelty hand clappers are sure to get your brand noticed! 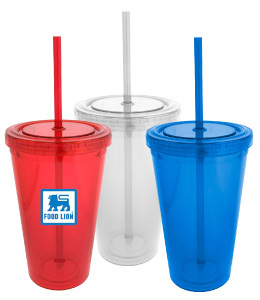 Be loud and proud at your next parade or sporting event and invest in a promotional Happy Klapper to get the party started. 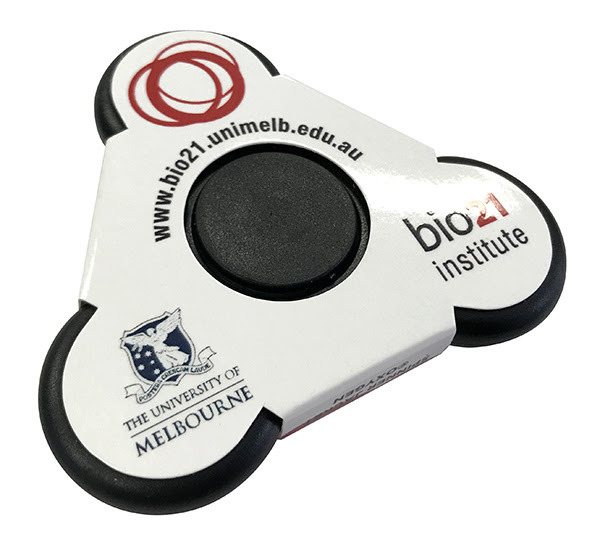 Promotional Cow Bells: Painted Steel Cow Bells are loud and exciting promotional products for a range of events. 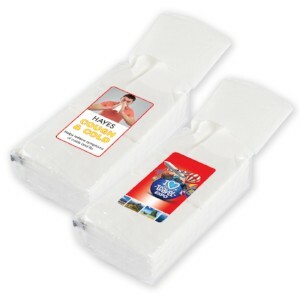 Make your next sporting event one to remember with a 4 colour labeled Cow Bell. Presented in 5 bright colours, Vivid Promotions' Noisy Cow Bells are sure to turn heads (and possibly bring the cows home)! We all know team spirit is a big part of being an Aussie! Footy Games, Cricket Matches, Olympics, Street Parades, Fundraising Events and Games always get a great crowd. 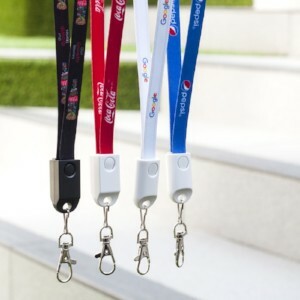 Invest in a quality Printed Promotional Cow Bell or Happy Hand Klapper to cheer on your team and gain great brand exposure! Along with our Novelty Cow Bells and Happy Klappers, Vivid Promotions' also has some other custom branded Noise Makers and Cheering Items such as Vuvuzela's, Cheering Noodle Sticks, Aluminium Whistle Keyrings, Foam Cheering Hands, Plastic Thundersticks and Sports Shaped Clappers. 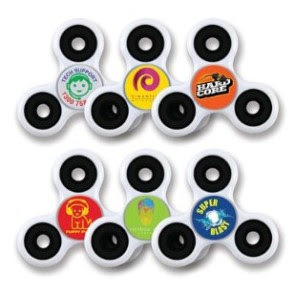 All of these Promotional Cheering Items can be decorated with your logo, sports team logo or corporate colours to create a long lasting promotional item that will make your clients smile. 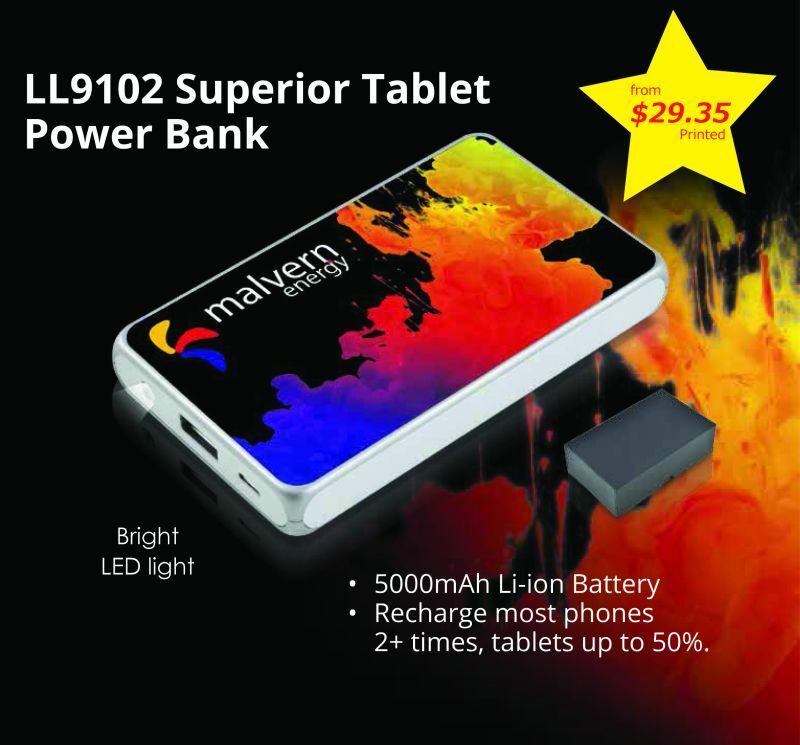 IMPORTANT NOTE: pricing does not include artwork set up costs, 10% GST or delivery charges. Vivid Promotions' Customized Lip Balms- What's your flavour? 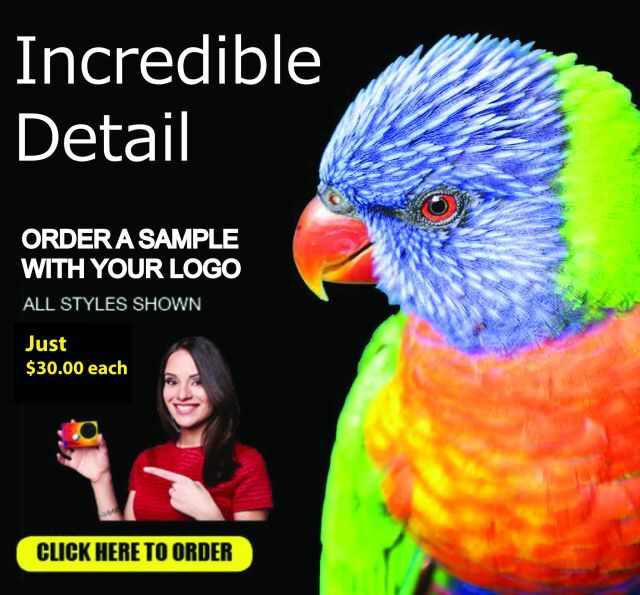 Vivid Promotions is proud to offer Australian Made Lip Balms that can be fully customized to suit your brand. Freshly made to order, our beeswax based Promotional Lip Balms can have a customized tube colour, customized fill colour, customized flavour and can be decorated with a pad print or full colour digital label. Some of our standard Lip Balm fills are Pink/ Strawberry, Yellow/ Lemon, Green/ Lime, White/ Vanilla, Purple/ Berry, Blue/ Mint, Orange/ Orange and Brown/ Chocolate. The flavours and colours of the lip balm fill can be mixed and matched at an additional charge so that we can provide a Personalized freshly made Lip Balm that will enhance your logo. Nourish and moisturize your lips with one of Vivid Promotions' custom made to order Lip Balms for a merchandise item that is unique to your brand. Slimline Lip Balms: Customize your next promotional campaign with some brightly coloured Slimline Lip Balms. 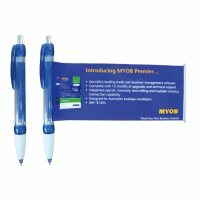 Print your corporate logo on these Slimline Tubes and customize your Lip Balm Flavour for a stand out promotional product that is bound to be used on a daily basis. Vivid Promotions' Freshly Made Australian Lip Balms make great giveaways, gift ideas for all ages and are great as part of a gift pack. Natural Lip Balm Pocket Tin: Our New Natural Lip Balm is made with all natural ingredients including essential oils for flavouring. This Eco Lip Balm Tin is great for those looking for an Australian Made Lip Balm, free from synthetic ingredients like artificial colours, flavours and preservatives. Enriched with Shea Butter and Almond Oil, our Freshly Made Natural Lip Balm Tins are presented with a full colour label. Designer Lip Balms, created by you! 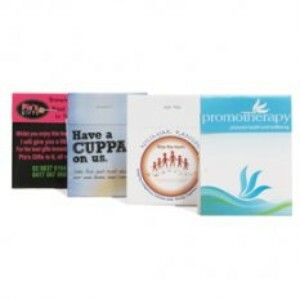 Promotional Lip Balms are fantastic Unisex merchandise items that can be used by people of all ages. Printed Lip Balms make great Christmas Gifts and cheap giveaway items for all kinds of events and campaigns such as government projects, health care companies, corporate companies and much more. Vivid Promotions' custom made Lip Balms have been specially created to give our clients a one of a kind Promotional Lip Balm that can be personalized to match corporate colours by allowing both the Lip Balm Tube and Lip Balm Fill to be customized to suit your needs. 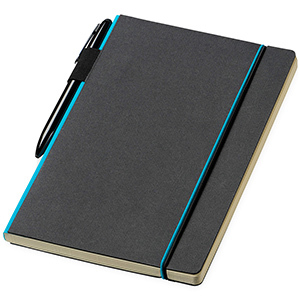 If we don't list the colour/ flavour you want on our website, give us a call to discuss your needs. Just about any flavour is possible with our Australian Made Lip Balms and Natural Lip Balms and be sure to decorate your Lip Balm Tube or Tin with a pad print or label. 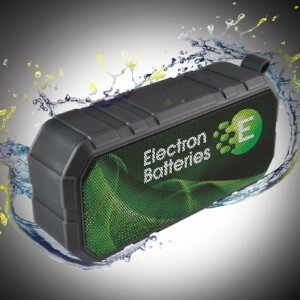 In addition to our Slimline Lip Balm Tubes and Lip Balm Pocket Tins, Vivid Promotions' also has 5g lip Balm Pots, 10g Lip Balm Pots, Lip Balm Cubes, Lip Balm Flip Tops, Lip Balm Balls, Lip Balm Sports Balls, WideBody Lip Balms and also Lip Balm Tubes with attachments such as Carabiners, Lanyards, O-Rings and more! The possibilities are almost endless with our freshly made to order Lip Balms and we can even make Swirl Lip Balms too! Choose your very own coloured and flavoured Lip Balms to best complement your logo today. 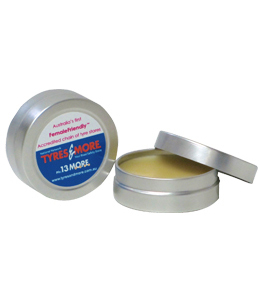 Did you know that our Lip Balms can last for up to 2 years? 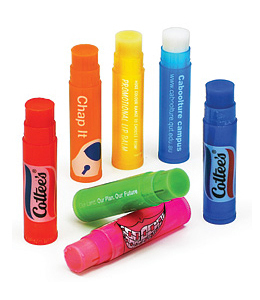 Choose a Promotional Lip Balm that is cost effective and can promote your logo everywhere you go. My favorite lip balms: Nr.1 Out Of Africaï»¿ Orange cream lilbapm (have 30% unrefined shea butter and the scent is orange) I love it, and I will buy more lip balms from this company. Nr.2 Bee Rescuedï»¿ Propolis Lip Balm (propolis is an antiherpes stuff) Nr.3 Blistex Classic lip protector. I ordered the Out Of Africa and Bee Rescued lip balms from iherb dot com, they ship worldwide and I live in Hungary. 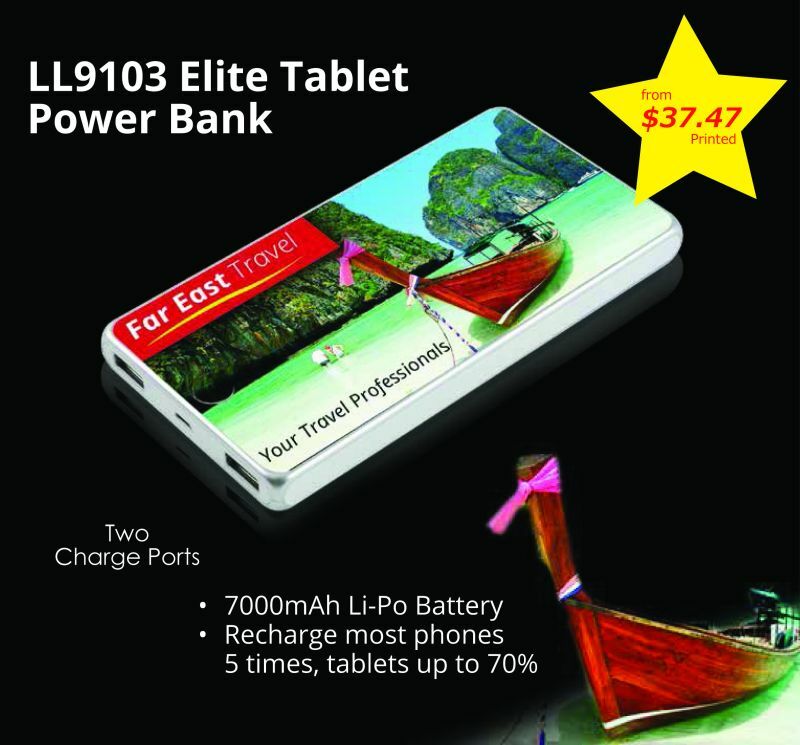 I have a coupon code for this site if you want order the first time: VIK284 and you have 5$ off. I do too Nelah which is why I was paneslatly surprised that I like the product as well! So the eco friendly packaging is definitely a bonus. 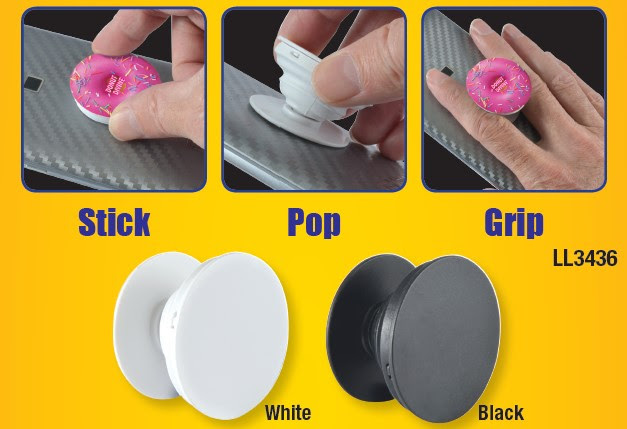 Introducing Vivid Promotions' NEW Pully Cans! 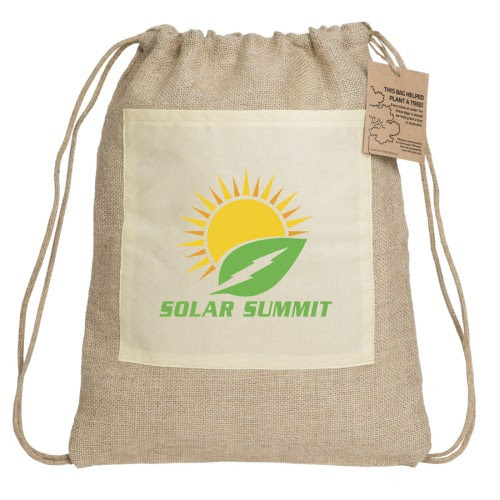 These custom labeled Pully Cans can fit a range of fun promotional products inside such as Printed Tote Bags, Branded Stress Toys, Custom Confectionery and other compact products. 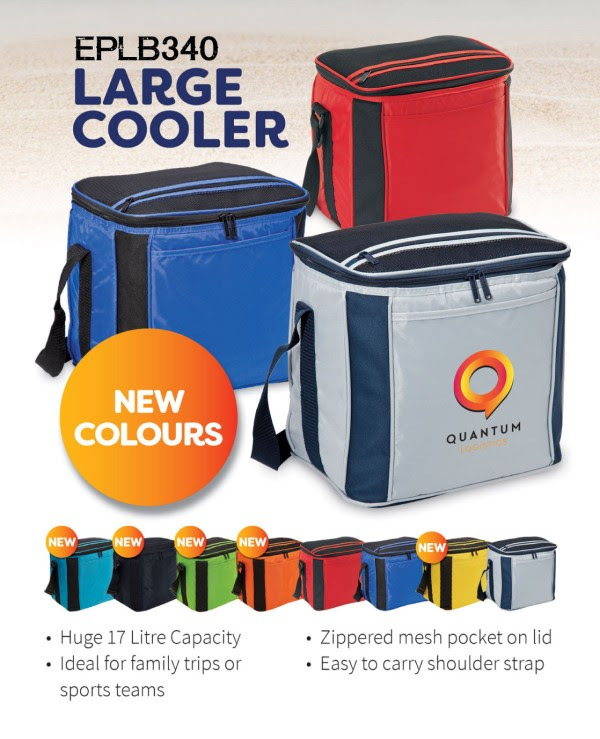 The possibilities are almost endless with these fantastic Pull Cans; featuring a handy pull action lid and customized 4 colour process digital wrap around label, let us see what we can Can for your next promotional event. Great for small giveaways, trade shows and boosting your brand, these Ring Pull Cans with print are an exciting new product perfect for all ages, events and budgets! M&M's In Ring Pull Can: Vivid Promotions' Delicious Promotional M&M's in Pull Ring Cans are great gifts for Christmas, Easter and many other promotional and corporate events that are after a unique merchandise item. 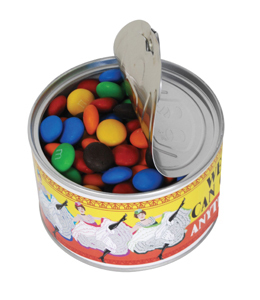 The Full Colour Printed M&M's in Ring Pull Cans are stylish and compact promotional products that can easily be kept on your desk, in your car or in your bag for a little sugar fix! 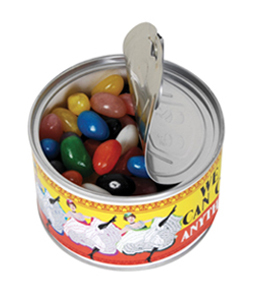 Assorted Maxi Jellybeans in Pull Can: Promotional Assorted Maxi JellyBeans in Pully Cans are fun and funky merchandise items that are sure to turn heads! 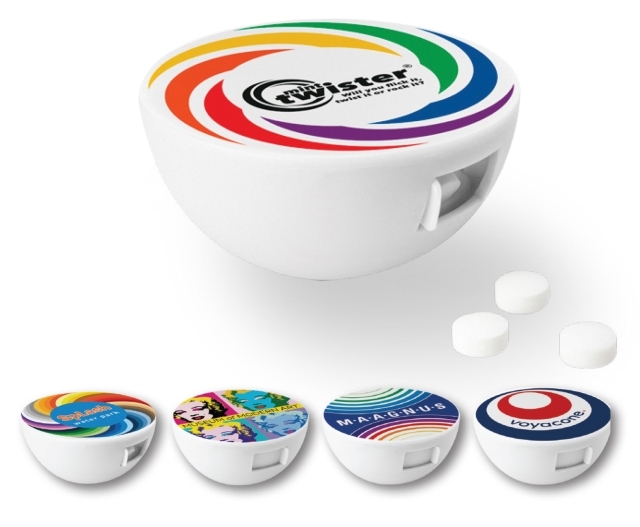 Colour your world with these yummy Maxi Jelly Beans in assorted flavours and print your 4 colour logo on a wrap around label for added brand exposure. These Assorted JellyBeans in Pull Ring Cans will leave a lasting impression. Big Fun in a Little Can! 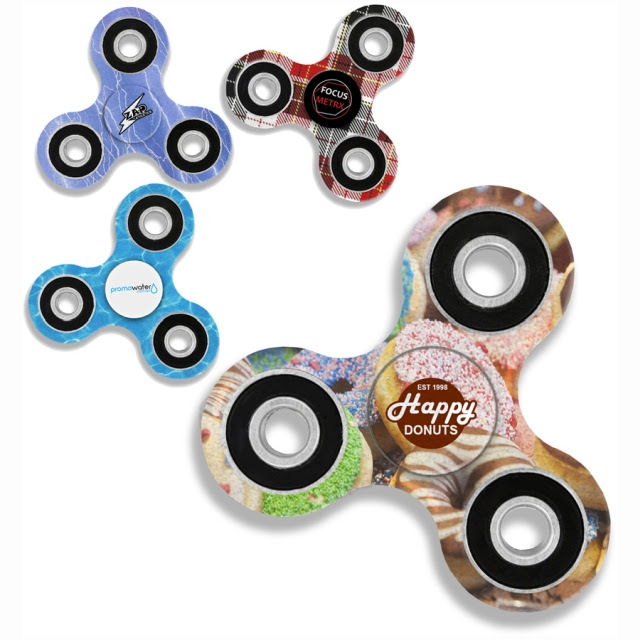 Not only can Vivid Promotions' supply Confectionery in a Pull Can, Stress Toys in a Pully Can or Tote Bags in a Pull Ring Can, we can also customize these cute Pull Ring Cans to suit your needs. Contact us to find out what can be packed into our handy pully cans and for a custom quotation. 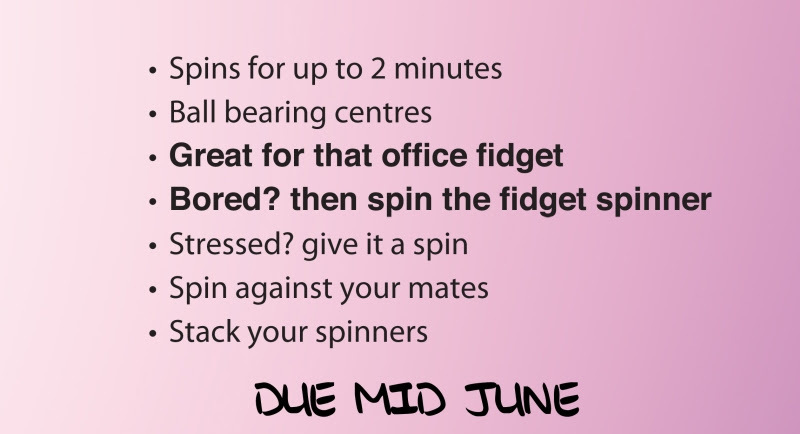 We can Can just about anything so get brainstorming on some fun ideas for Christmas, Summer and any other events that need that little something extra. 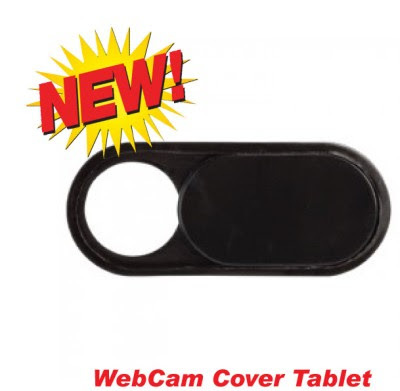 Decorate your 88mm (D) x 53mm (H) Pull Ring Cans with your corporate message and watch your brand fly! 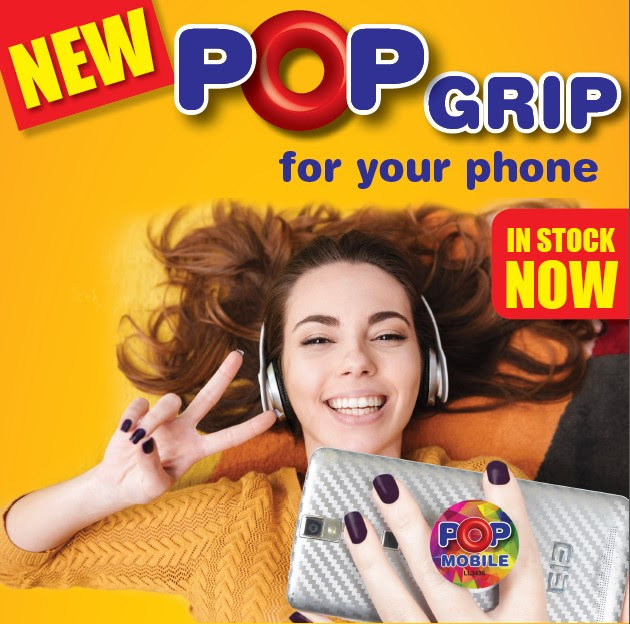 In addition to our NEW Pull Ring Can Promotional Products, you can also visit our website to view our full range of new and exciting Promotional Products and see what other great gift ideas on offer. 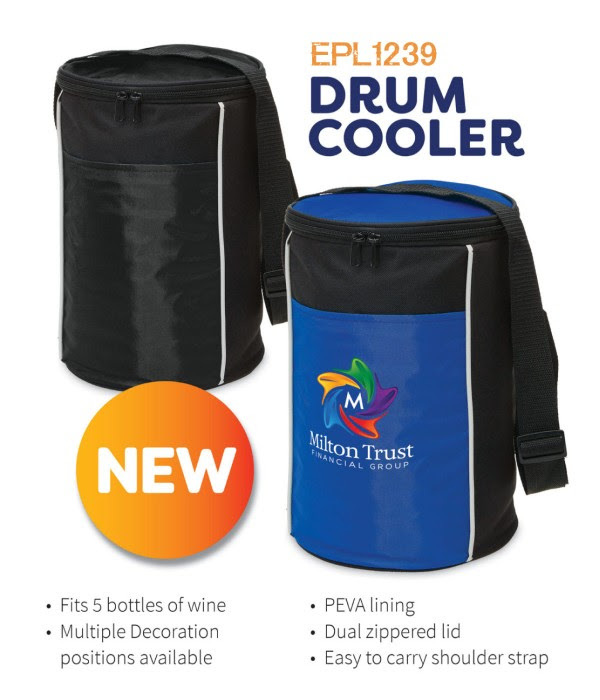 In additon to these great promotional Pully Can Products, Vivid Promotions also supplies Confectionery Items such as Jelly Beans, M&M's and Fiesta Fruit Lollies in other packaging. 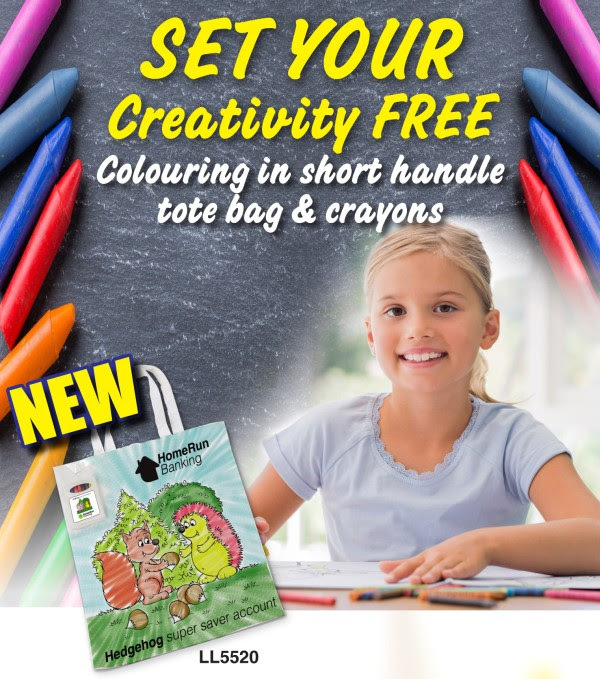 You can also view other promotional products that can fit in a Pull Ring Can by checking out our Promotional Bag range, Stress Toy Range and more! 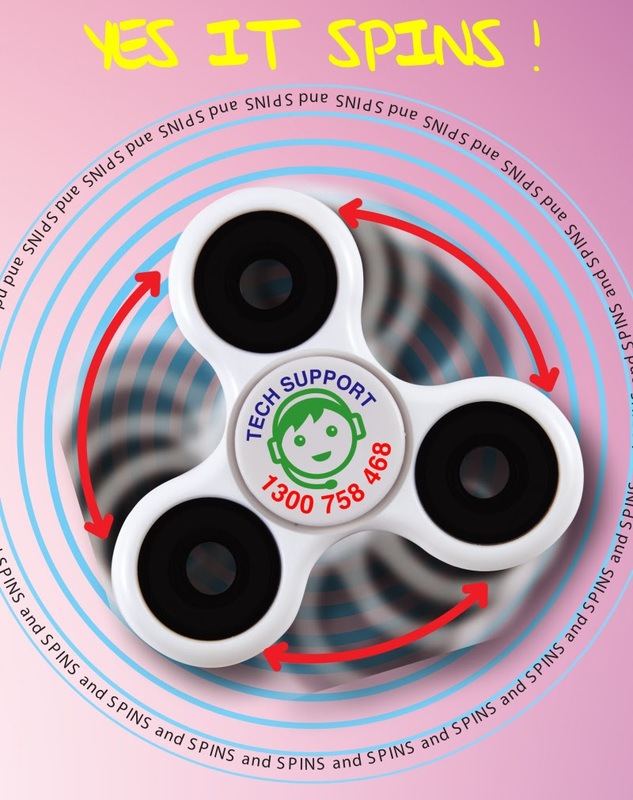 If you community has a relcnyicg program, start by making sure you have the appropriate blue or green bin and be sure use it every week. Even if you start with just a few items, your neighbors will see that you care and perhaps a trend will start. Read the directions on the bin as to what is acceptable in your community\'s curbside pick-up program. Cardboard boxes often are, while pizza boxes are not, for example. (My apartment neighbors don\'t seem to get that, so I end up sorting through their garbage quite often. We also save our cardboard egg cartons I refuse to buy styro cartons and donate them to local food banks.) Check your local directory for commercial relcnyicg centers in your area, if you do not have a community relcnyicg program already in place. (If you don\'t, it\'s time you called your local politicians and insisted soemone get this moving.) Your nearest private recylcing centers should take plastics of all types (codes 1-7), paper and cardboard, bottles of all colors (green, brown, etc.) and steel/tin as well as aluminum cans. Of course, remember the old 3 Rs of relcnyicg has now grown into 4Rs: REDUCE your own consumption/purchase of non biodegradable objects and anything that comes in non biodegradable packing materials. The new R is to REFUSE to purchase things in wasteful or unrecyclable packing. 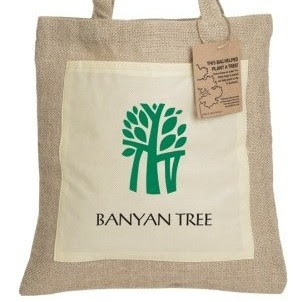 Your greatest power may be in your pocketbook, but don\'t forget to let your local merchants know WHY you are NOT buying certain products or using paper much less those evil plastic sacks. 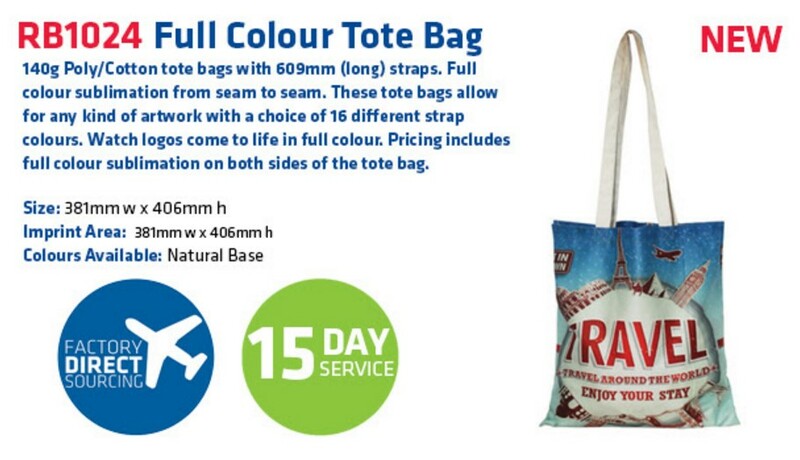 (Be prepared by keeping canvas sacks in your car so you can avoid the excuse of just having to make a small pick-up shopping trip.) You also have the right and the voice to address these companies directly. Write to their consumer affairs divisions and cc their CEOs about excessive packaging, plastic bags/containers, etc. The trick, of course, is to buy fresher and fresher whole foods with less and less packaging. All things being equal, I buy produce with the least amount of packaging possible. 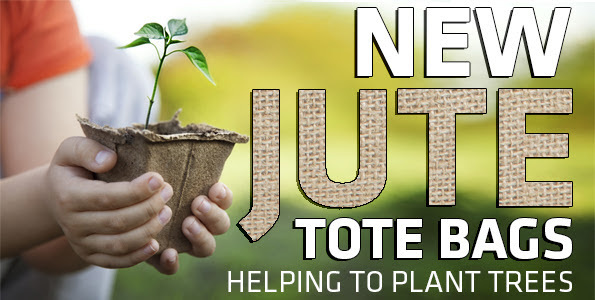 Visit your local farmers\' market and bring your own sacks to aid in this effort, but be sure to still educate your local supermarkets. AVOID polystyrene/styrofoam altogether. I bring my own container when we go to restaurants and envision there might be take outs. 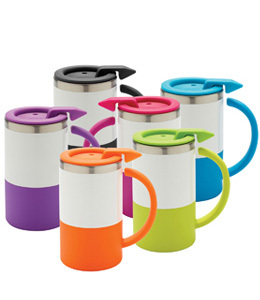 Ditto for carrying your own refillable water bottle and coffee/tea/yerba matte mug. (I have lived in a Third World country overrun by styrofoam waste that has NO WHERE to go besides the ocean, reef and the nation\'s very limited landmass. Their future is not very pretty.) 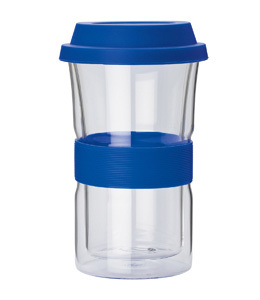 If you don\'t like the taste of your local tap water and use it as an excuse for buying bottled water, buy a filter pitcher and chill the H2O before drinking. There is no excuse for the abominable mountains of plastic bottles discraded by our so-called health and environmentally-conscious generations. You can also recycle your clothing by donating anything usable. (Remember, your standard for usable may be somewhat higher than on the receiving end, but that does not mean you should drop your junk there either.) Likwise for buying gently used clothing for yourself. Tear up unrecyclable fabric and use in place of PAPER towels, PAPER napkins or SPONGES. 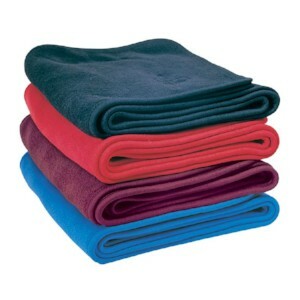 It is less harmful to wash a daily use rag than to keep buying paper products (even recycled ones). Recycle your printer\'s toner cartridges as well as your old electronics. If you don\'t know where to do that, call a local non profit like Goodwill or Easter Seals and see if they can point you towards a needy recipient. Recycle your home/office printer paper, of course, but start by reducing what is printed. Just today we saw a story about green printing software that scans your documents and reformats them to cut out all the nonsense that no one ever reads anywhere from 20 40 % of the pages that run through our machines. It seems worth the $35 it\'ll cost to download. Oh, and then there\'s composting relcnyicg your food waste. If you are a non gardener perhaps one of your neighbors, a local school or a nearby nursing home might have a garden and be willing to take your dumpings every week. 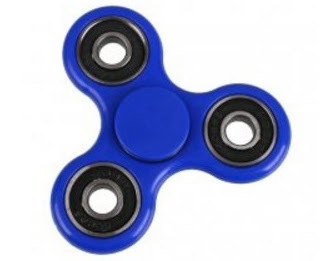 This will also reduce your overall trash load. Thanks for caring enough to ask this question. 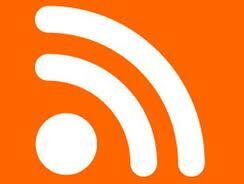 Awesome web site you\'ve here however i was ciurous about if you knew associated with a community forums that cover exactly the same subjects talked about in this article? Id enjoy to be a part of network exactly where I can get reactions using their company skilled people who share exactly the same interest. For those who have any kind of recommendations, please let me know. Many thanks! Information extracted from the Noosa Events Website: In May, Noosa comes alive with the Noosa MayFiesta. The MayFiesta is not just one fantastic Noosa festival “ it is a whole series of fantastic Noosa festivals scattered through towns across the Sunshine Coast map. Originally this Noosa Festival was to attract people to the Sunshine Coast area when the Noosa weather was still warm and Sunshine Coast holiday accommodation bookings were not in peak demand. First for the Noosa May Fiesta, you have the Celebration of Australian food and Wine, Noosa Style. During this event Australia's top chefs, winemakers, restaurateurs and general food lovers mingle to learn, taste and explore the best Australian produce. Join a food trails from farm to table, take a class or enjoy the results when guest chefs take over local Noosa restaurants. You can turn the clock back to the 1950s and 60's with Rock'n'Tewantin “ 10 days of rock n' roll dance competitions and concerts, hot rod displays, 10 pin bowling nights. To taste the best of local Sunshine Coast produce, book a spot at the Long Table Dinner, part of the Eumundi Food Festival. For the best of the rest of the world, visit the Global Food Festival along Thomas Street, Noosaville. To work off all the great food, take part in the Noosa Blue Water Swim held in Noosa on the Sunshine Coast “ one of the richest ocean races in Australia. To top it all off, head down to the Noosa Harbour in Noosa Queensland for the Mayfiesta with Latin style salsa dancing and music. Accommodation for these Noosa events is fantastic value, with many venues offering deals such as book for 3 nights stay for 4 nights. For those of you that have never visited Noosa, on the beautiful Sunshine Coast, now is the time to schedule in a trip. Noosa is one of the most delightful, charming and sophisticated destinations in the world and here at Vivid Promos we get to live, breathe and work in this wonderful location. 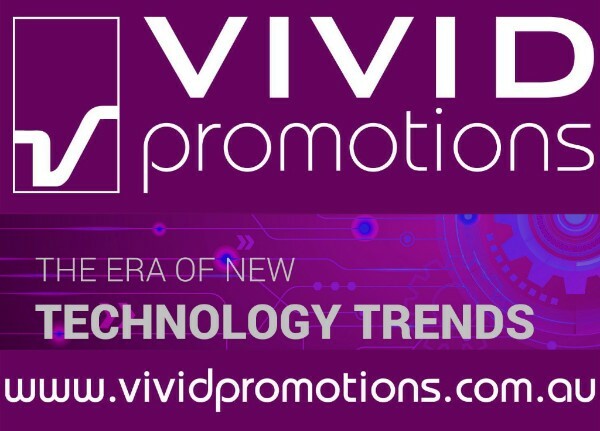 Thanks to modern technology, the team at Vivid Promos is able to work in the beautiful surroundings of the Noosa Hinterland and still consult, advise and work with clients from all around the nation (Read more about Work/Life Balance and Mixing Business with Pleasure in future articles.....coming soon). Sophisticated, stylish and cosmopolitan, Noosa is one of Australia's and the world's most desirable holiday destinations. 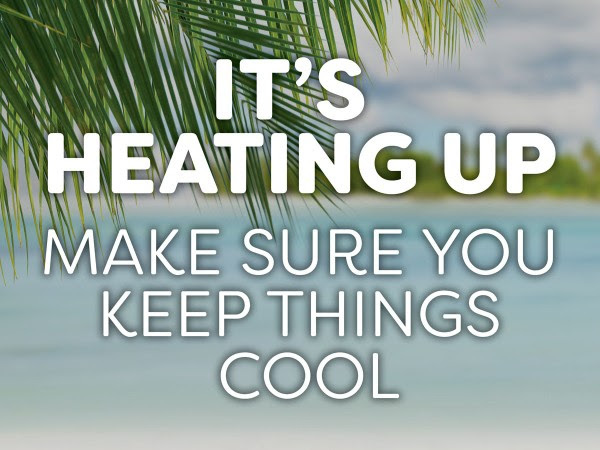 With everything from shopping, food, relaxation and fun in the sun, Noosa has something to suit every traveller. 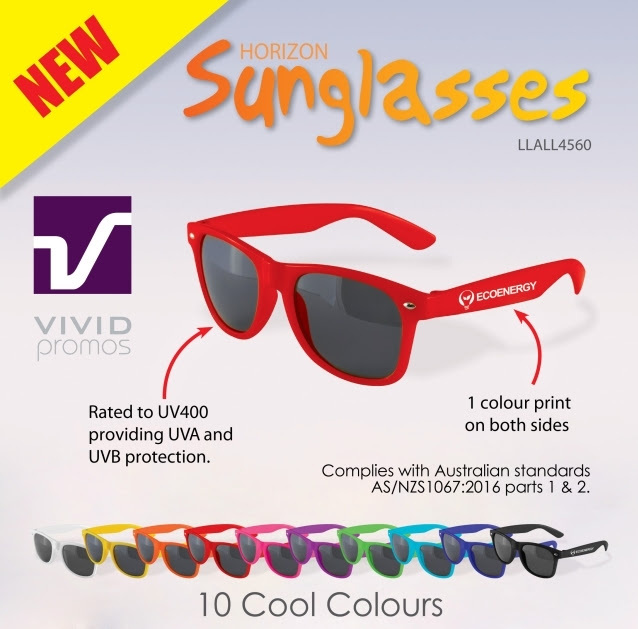 This little segment of the Vivid Promos Blog will contain news, events and current affairs in Noosa and on the Sunshine Coast. Hopefully some of our clients will be inspired to come up and visit us and combine a bit of pleasure with their business trip. 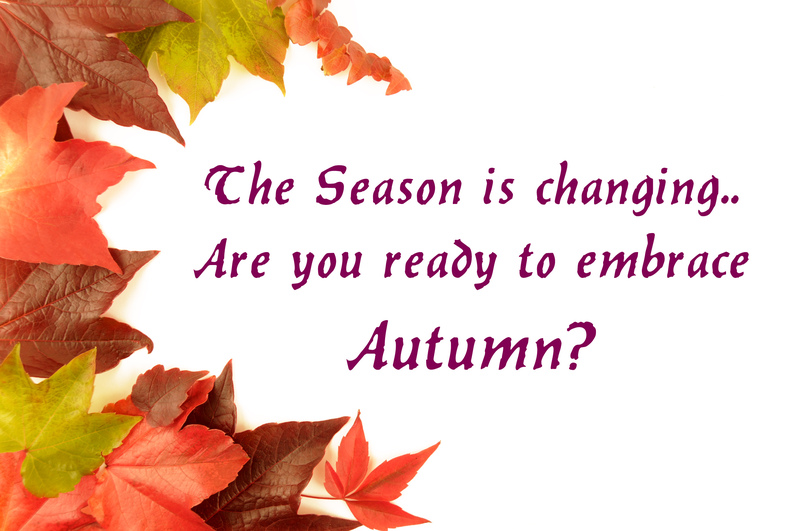 Let us know when you're going to be in town and we shall arrange a consultation!